Kenya Moore at the 2004 Vibe Awards. 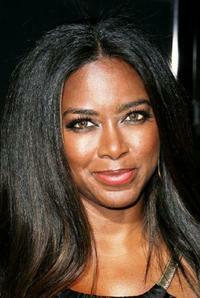 Kenya Moore at the Ebony Magazine Oscar Party "Hollywood in Harlem." Kenya Moore at the Deborah and Carlos Santana Milagro Foundation Benefit fashion show and silent auction. Kenya Moore at the 2007 BET Awards after party. Kenya Moore at the Clive Davis pre-Grammy party. Kenya Moore at the 2008 BET Awards after party. Kenya Moore at the 2008 BET Awards. Kenya Moore at the 2006 ESPY Awards. Kenya Moore at the Vanity Fair 2006 Svedka Erotica Reading Series. Kenya Moore at the 2005 BET Comedy Icon Awards. Kenya Moore at the 2006 BET Awards.